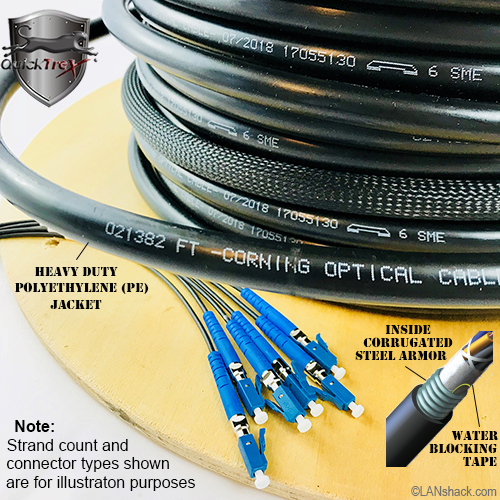 This Outdoor Armored Direct Burial (OSP-DB) Cable is designed for campus backbones in direct-buried installations and is perfect for a variety of voice, data, video and image applications. • Made to exacting specifications. Factory terminated and tested. • Factory terminations and polishing are superior to virtually all field terminations. • Quality made in the USA by Skilled Technicians. • Fibers are protected using 2 mm buffer tubes. 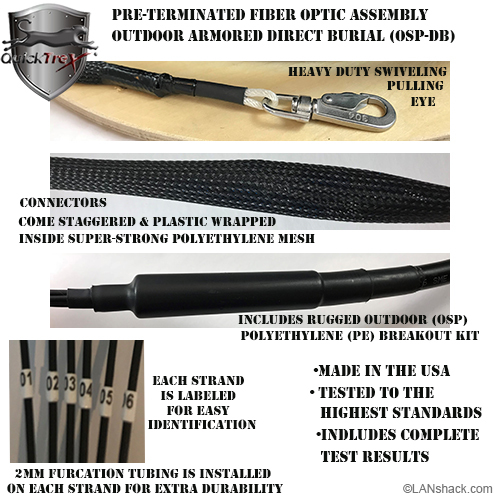 • Optional "Pulling Eyes" (pulling baskets) allow the ends of the assembly to be pulled into place while protecting the connectors. 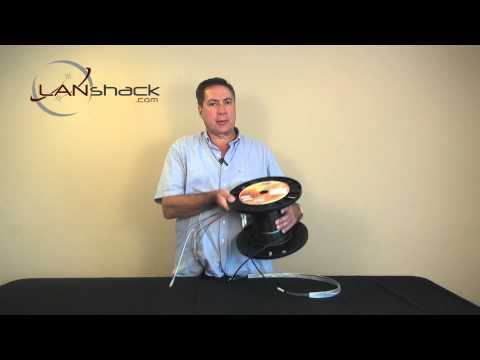 • Save time on your installation. 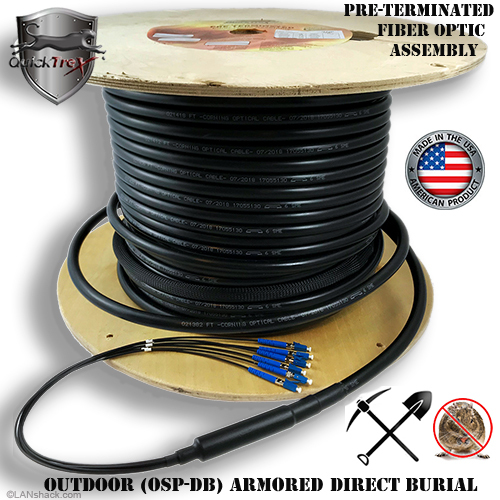 Best Suited for: In trenches or underground installation where rodent chew damage is a concern, overhead lashed to a guy wire, or secured to a building or other permanent outdoor structure. 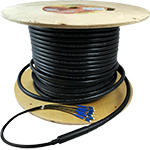 The drawback of outdoor (OSP) cable is that it is mandated at a maximum of 50 feet run indoors due to fire-code regulations. Lead time: Varies usually between 2 to 3 days. For emergencies or to request expediting call or email Sales at 888-568-1230 option 1.